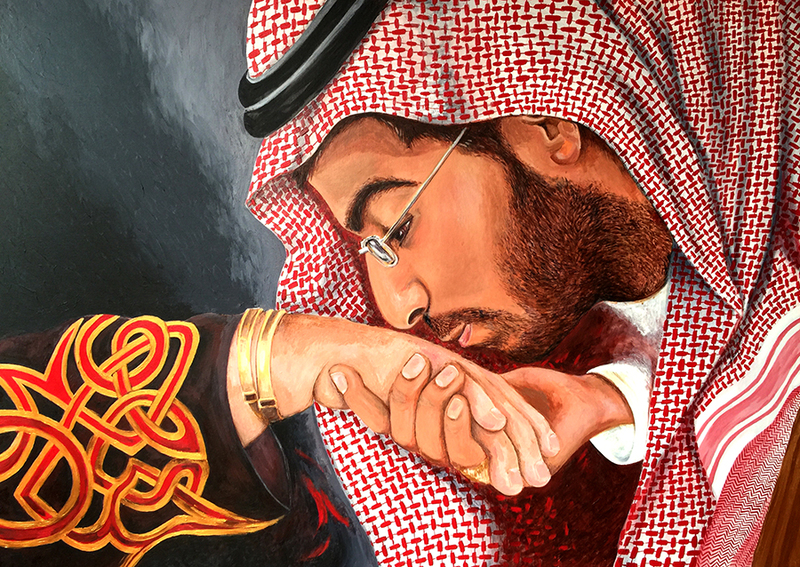 I was recently commissioned to paint a portrait of Prince Khaled bin Salman kissing his grandmother's hand. This was a really wonderful commission for me and I was honoured to do it. 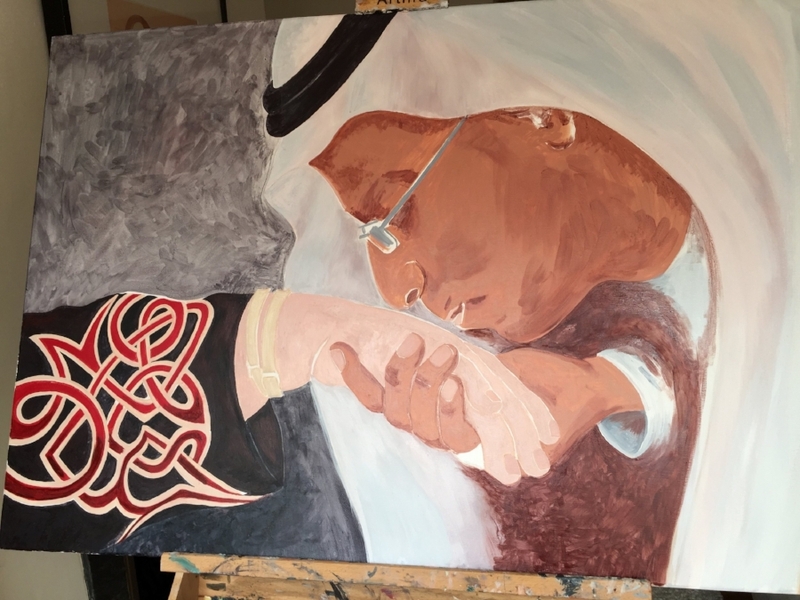 It was a very large acrylic on linen canvas, I chose acrylic as time was of an essence and I did not have time to allow oil to dry. The image was created from a collection of pictures.